Enables data files to be Displayed, created, saved etc. Data can be directly entered into the grid. New Grid Entry : Clears the grid. Enables the user to select the number of required columns for the data file. Enter the number of columns and then press the Apply button. 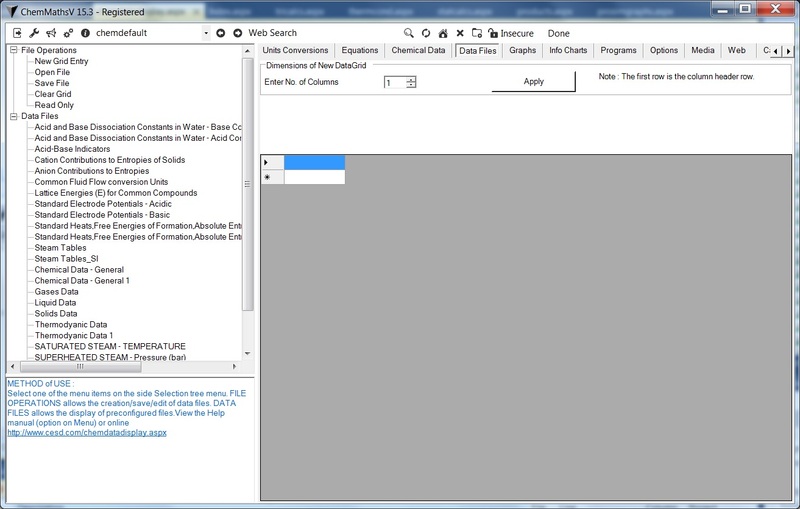 Note the first entered row is the column header when the file is saved. Open File : Allows a previously created file to be displayed. Save File : Saved the displayed data into a csv file. Clear Grid : Clears the grid display. 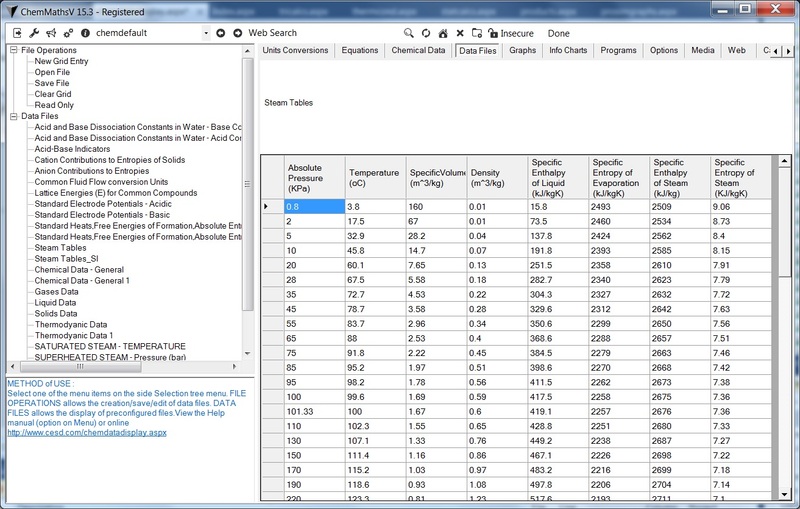 Select one of the predefined data files from the menu. The displayed data can be added to,edited and saved etc by using the File Operations.